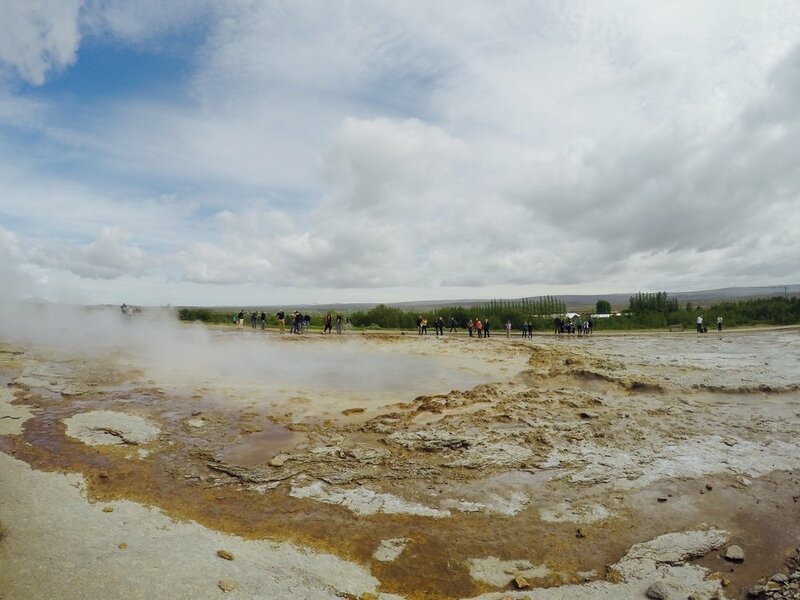 Once you’ve had your fill of Reykjavík, head out for more incredible sights in the southwest that include volcanic islands, waterfalls, and black sand beaches. The Westman Islands, Vestmannaeyjar in Icelandic, is a chain of fifteen islands located off the south coast of Iceland. Only one is inhabited, the island Heimaey with about 4,000 residents, and the best way to reach it is to take the ferry from Landeyjahöfn. The ferry is about an hour and 45 minute drive from Reykjavík and the ferry ride takes about 35 minutes one way (you can book tickets here). Once on the island, it’s easy to explore and navigate on foot, no need to rent a car. 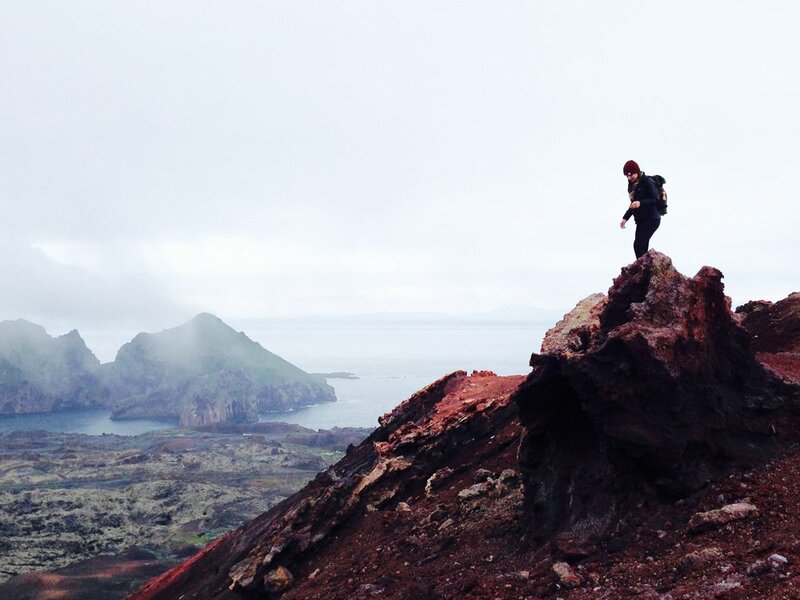 We hiked the Eldfell volcano which erupted in 1973 and it’s a short yet steep hike to the top. 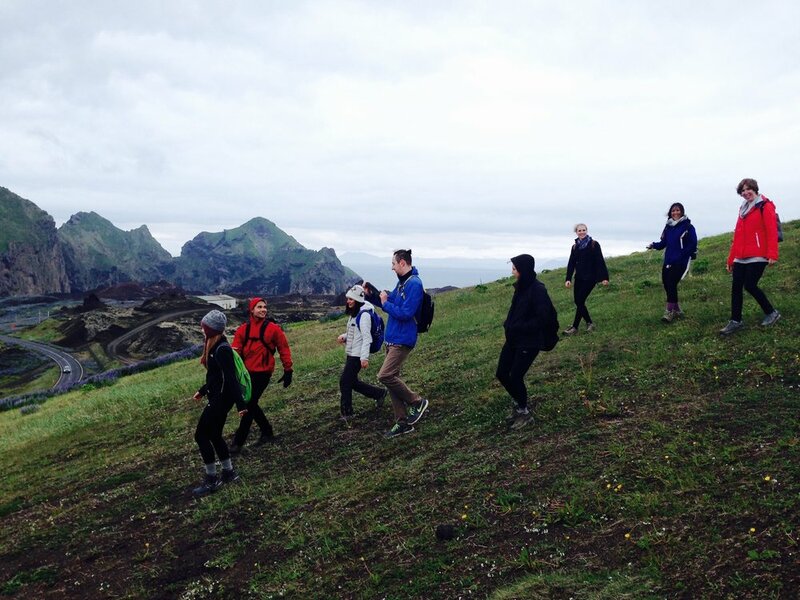 The scenery here is breathtaking and walking over the volcanic rock makes you feel like you’re on another planet. 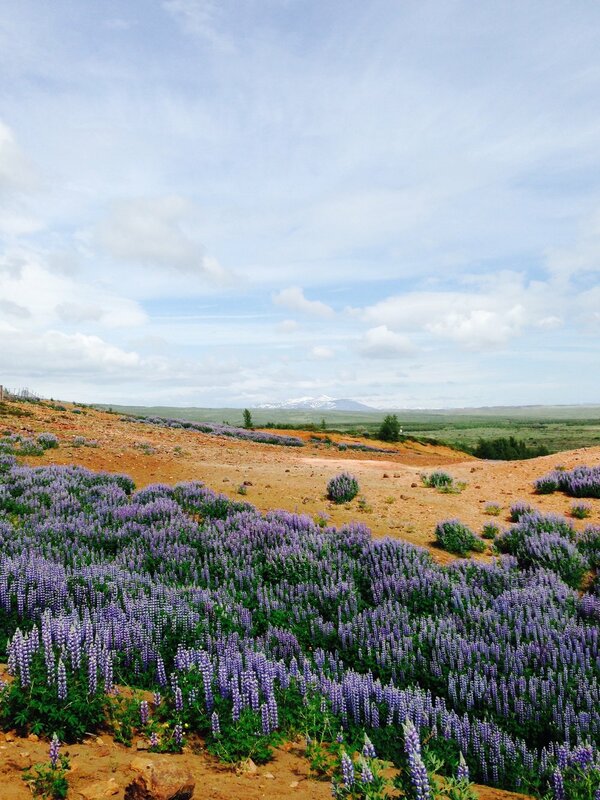 I was also fond of the purple lupines all over the island that were blooming in June. On your way down the coast, make sure to stop by the surrounding beaches to get a closer look at the black volcanic sand. An UNESCO World Heritage Site, this national park offers visitors both history and incredible geologic wonders. Iceland is divided by the Mid-Atlantic Rift and it’s the only place in the world where this rift is above sea-level -- within the park you can see the edges of the North American and Eurasian plates meet. Also here on these grounds are the Silfra Fissure (I wrote about my snorkel excursion at this spot here), geysers, and the massive, two-tier waterfall, Gullfoss. Some friends from our group also had fun with geocaching in this area. Speaking of waterfalls… SO many waterfalls! In addition to Gullfoss, here are two more in the southwest worth adding to your route. Seljalandsfoss - This is the waterfall that you can walk behind. Plus, there’s a partially hidden waterfall nearby, called Gljúfurárfoss. When facing towards the main waterfall, head to your left and walk along the path for about 2 minutes to find it. Skógafoss - My favorite waterfall of the trip. It has the absolute best scenery and hiking surrounding it, which allows you to take in the waterfall from every magnificent angle. If you can only make it to one waterfall, pick this one and let its towering heights humble you. This hotel and farm was the most magical home for our four days of exploring and made a great central home base for our drive to each of the sights above. It's a third generation family run farm, with a focus on sustainability and locally grown food. Everything is farm to table and I enjoyed some of the most delicious, freshest food I've ever had here. 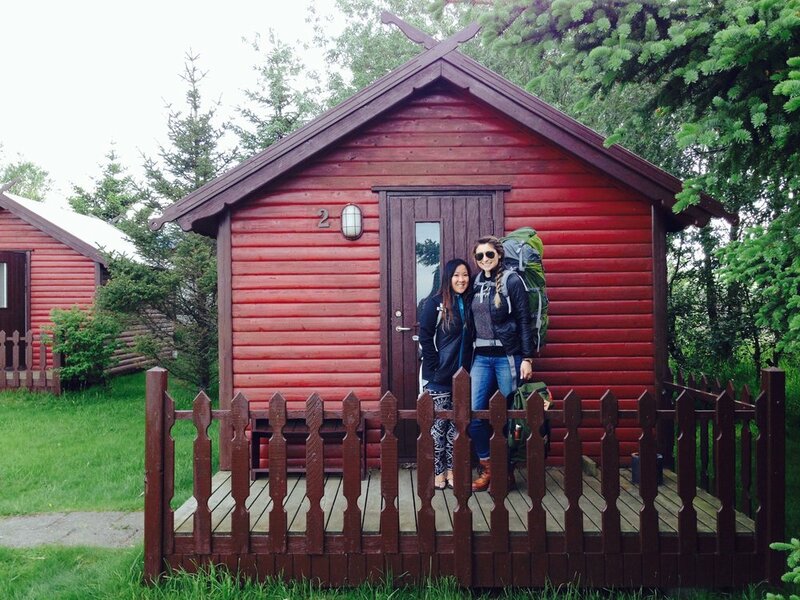 We were surrounded by beautiful Icelandic horses, fluffy little sheep, and the chickens outside our windows every morning. It's a beautiful way of life that I love and admire so much. 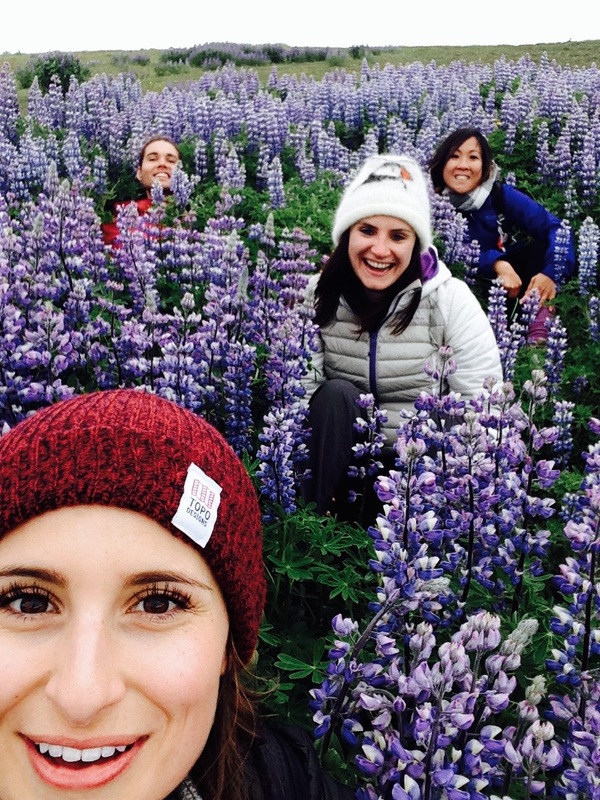 + Take a roadtrip and drive along the Ring Road and see more of Northern and Eastern Iceland. + Stop for a swim at the Seljavallalaug swimming pool in Southern Iceland. + Visit the Jökulsárlón Glacier Lagoon in Southern Iceland. So stunning. + Do an epic photo shoot at the Solheimasandur Plane Crash site.